The Distant Trees, Aw-right! – How Would You Do It? 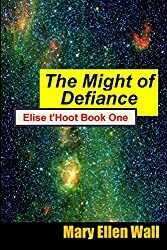 How about a sci-fi tale set in the next century featuring tyrannts, underdogs, illegal aliens, outerspace aliens and great gobs of erudite adventure? Maybe The Distant Trees is for you! This blog will talk about my science fiction books, world travel, nature and the joys of drinking homebrewed ale and wine. Welcome and keep in touch! Judge for yourself, buy a copy, and Thanks! TaDa! My New Book IS HERE!